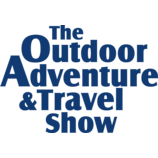 Find Your Next Adventure at B.C.’s largest adventure show offering pre-season deals on the newest outdoor gear and amazing travel destinations. See kayak, scuba and stand up paddle boarding experts in the Whitewater Demo Pool or ignite your passion for biking, hiking, climbing, water or mountain sports at over 200 exhibits. The Adventure Travel & International Travel Zones unite representatives from all corners of the globe who are ready to help you with booking your next great escape!